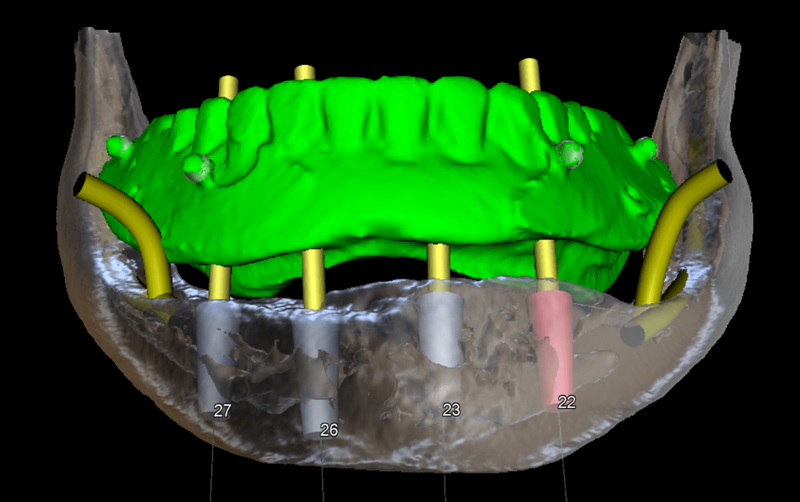 Full arch restoration (sometimes called All-on-4®) was developed as an efficient method for replacing multiple missing teeth. 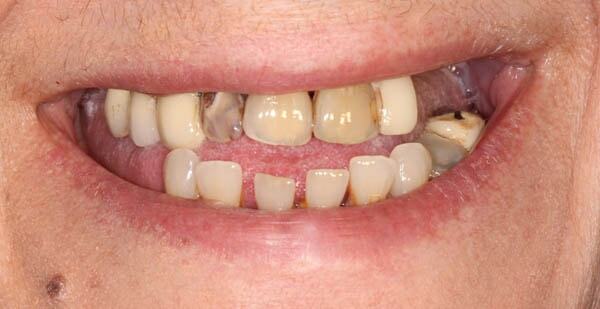 With this process, we are able to restore an entire top and/or bottom set of teeth in a one day approach. 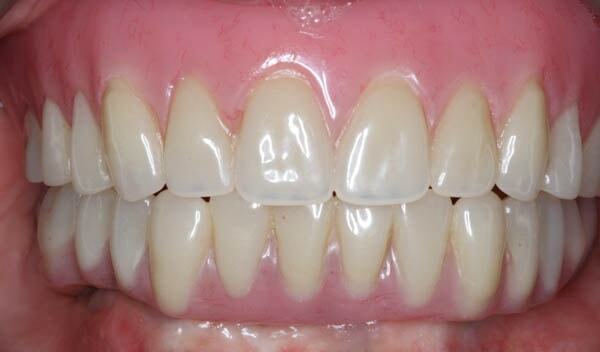 Immediately after implant placement, temporary teeth will be screwed onto the implants. 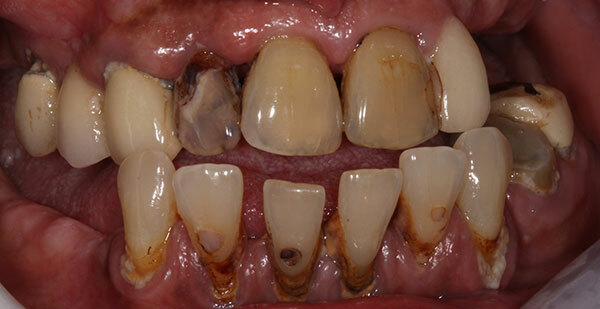 This means the patient will typically have full use of their teeth that same day. 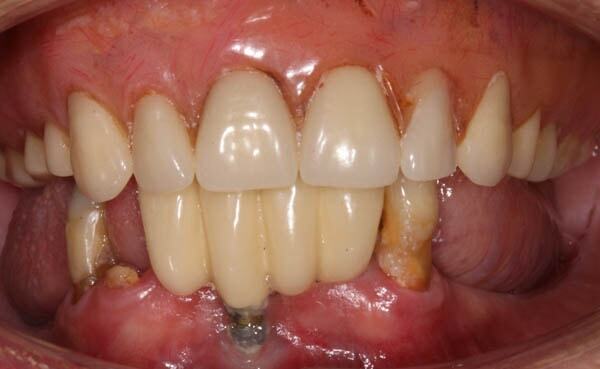 Once the implants have been properly healed, a permanent set of teeth will be attached permanently. 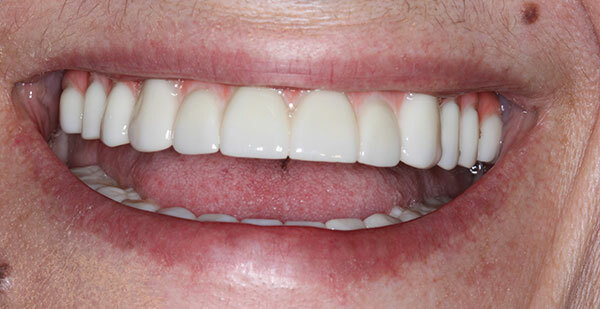 AM I A CANDIDATE FOR FULL ARCH RESTORATION? If you have a number of missing or failing teeth, on either the top or bottom of your mouth, then you may be a candidate for the procedure. 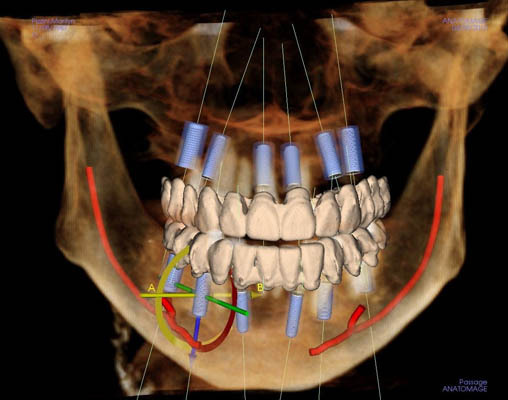 As with all procedures, Dr. Farah will need to do a comprehensive analysis to determine whether or not Full Arch Restoration is right for you. This analysis includes an overview of your medical and dental history, as well as a thorough examination of the gums, bone, and any remaining teeth. If your dental and medical health is deemed fit for the procedure, your treatment coordinator and you will discuss your expectations, go over the timeline, and review how the Full Arch Restoration procedure can restore function, speech, aesthetics, and self-esteem. 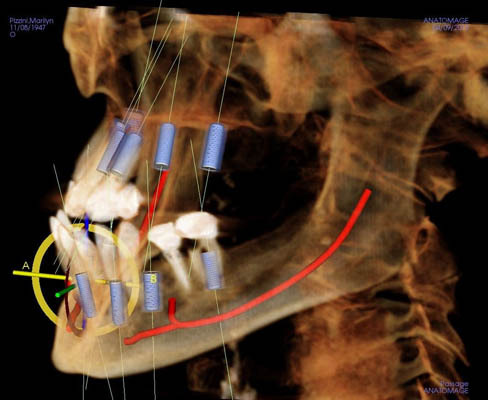 We will work closely with your dentist and the dental lab to plan your case. 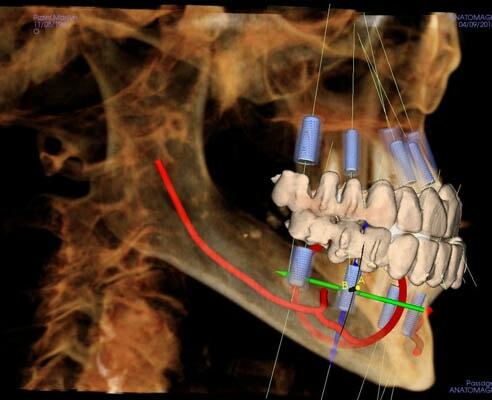 It will consist of virtually situating your implants along with your future teeth prior to your procedure. A template will be fabricated for the procedure. 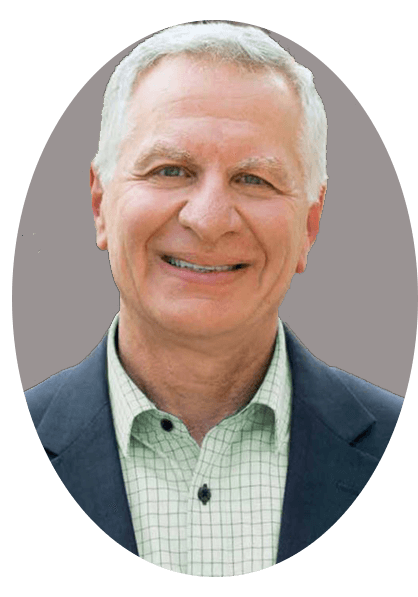 Dr. Farah will thoroughly numb the area to make sure you will not feel any pain or discomfort. Then, he will set the implants into the bone as planned. 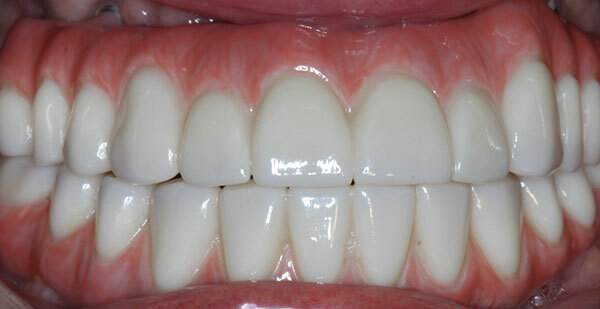 Your dentist, who will be present at the time of surgery, will attach a set of temporary teeth during the same session. 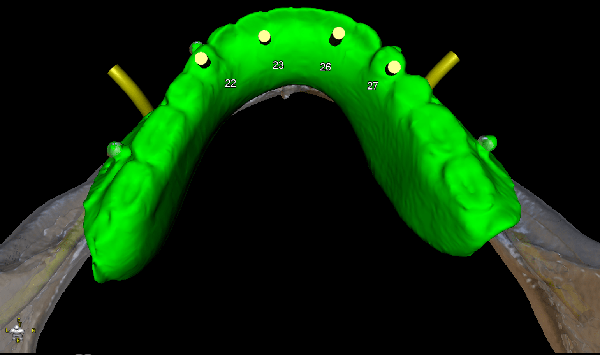 The temporary teeth will be usable immediately after the surgery. About four months later, when the implants have completely healed and fused to the bone, your dentist will remove the temporary teeth and replace them with your permanent set of teeth.